The Confederate 55th North Carolina infantry advancing down the Chambersburg pike, forming line of battle, and moving forward to drive off Buford's cavalry who have taken up position on McPherson's Ridge in an attempt stem the tide of the Confederate advance and protect the high ground just south of the town. 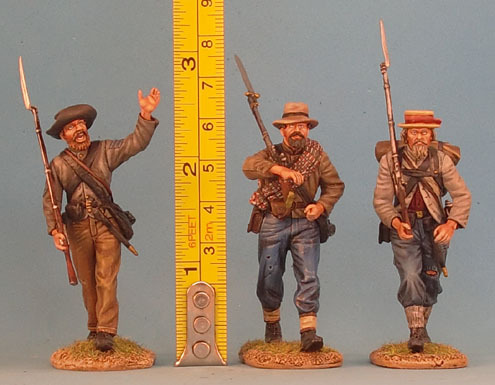 Though the figures are designed as the 55th North Carolina, they can serve well as many different Confederate Regiments and the figures will mix and match quite well with other Confederate figures that we will release. 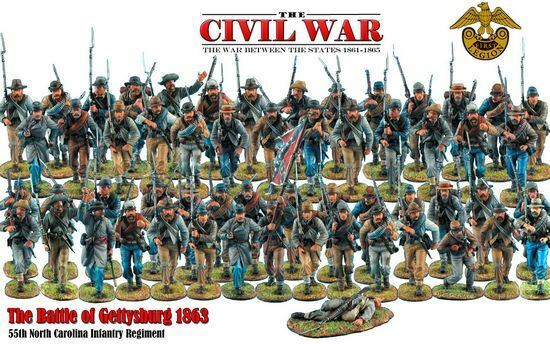 In our opinion this is suitable for most new American Civil War Collections. Such as Britains, Collectors Showcase and King & Country.